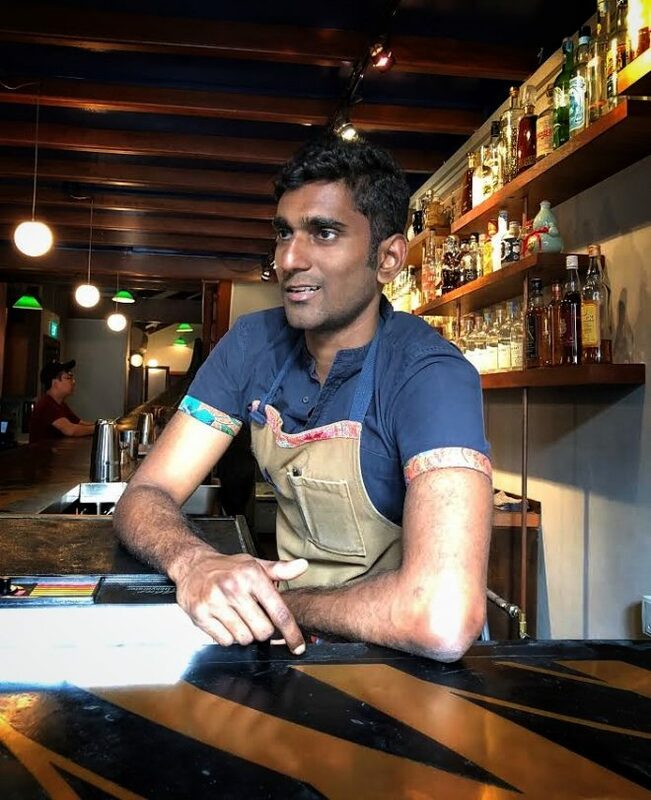 My name is Vijay Mudaliar and I’ve been bartending in various types of bars, for the last 11 years. I was working at Operation Dagger when I decided to open my own place with a partner in 2016. Here at Native it’s all about local… local products, local spirits (like Indian rum, Thai whisky and many others) and we also forage locally. The furniture is made by a local carpenter, our cups are made by local craftspeople, and even the music we play here has a local flavour. My dream bar is Native. I wouldn’t change anything because I am not a fan of high budget bars. I work in my city with friends who I grew up with and that’s all I need. I go hiking or spend time with my partner and watch movies on Netflix. I like to cocoon, it’s important for me. Right now I am very excited by Arak. Arak means spirits in Sanskrit and you can find it in different parts of the world, but they are made differently. In the Middle East, Greece and Turkey it mainly has an anise flavour. In india it’s made with coconut flowers and in Indonesia, each state has its own way to make it: molasses, red rice or a blend of two or three ingredients. In the end it’s a kind of terroir approach. It’s using great raw materials to make a spirit and after that it’s about the distillation process. To me, it feels like Mezcal 15 years ago, no one wanted it and now it”s the top of the top. I think Arak has the same potential. Here we try to have an honest approach. Ingredients are important for their history, similar to those used in cuisine. There is always a reason we use certain ingredients. I love to use simple products that people know here like jackfruit or candlenut. Something people eat everyday here but wouldn’t expect to have in a cocktail. Right now my favourite ingredient is Kalamansi. You need to go to Operation Dagger and try their natural wines and Ku Bar in Cuba.